Astronauts aboard the International Space Station can expect almost 5,000 pounds of new hardware and experiments in two days following Monday’s early-morning liftoff of a SpaceX Falcon 9 rocket and Dragon spacecraft. 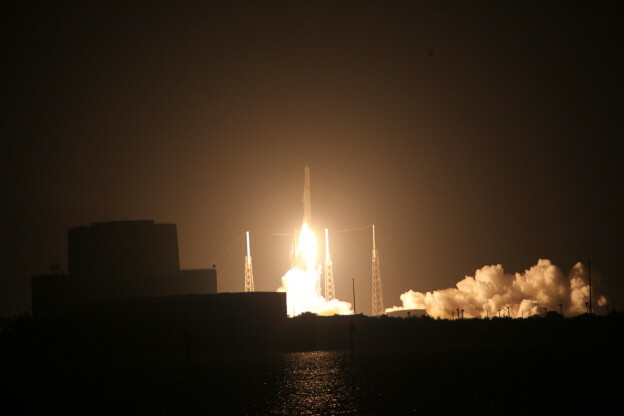 The launch lit up the skies over Florida’s Atlantic coast at 12:45:29 a.m. EDT as the nine engines of the Falcon rocket ignited to push the stack away from its launch pad and place the Dragon on a course to catch up to the station in two days. Packed tightly inside the unpiloted Dragon spacecraft are a host of supplies for the station crew along with critical materials for dozens of the more than 250 scientific investigations slated to take place during the next several months. As an orbiting laboratory, the space station offers a unique platform to conduct research focused on improving aspects of life on Earth, decoding the challenges of long-duration spaceflight for astronauts traveling to deep-space in the future and for monitoring global changes on our home planet. The post-launch news conference is airing on NASA TV. NASA and SpaceX officials are discussing this morning’s launch and the status of the Dragon as it orbits Earth on its way to the International Space Station. 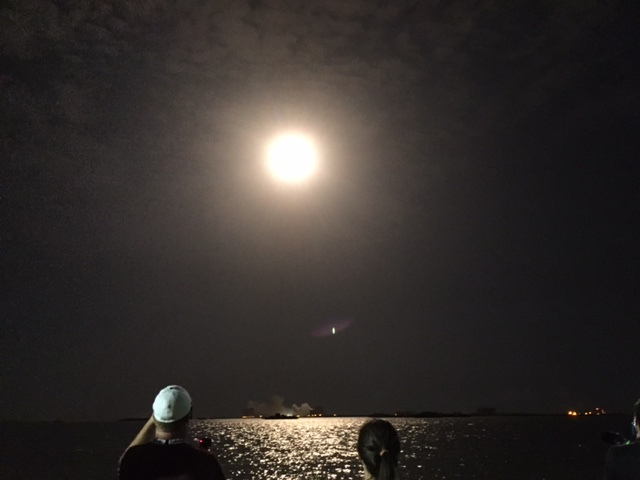 In case you missed it, here is a video recap of this morning’s on-time liftoff of the SpaceX Falcon 9 rocket and Dragon spacecraft as they headed into orbit and to a rendezvous with the International Space Station. Dragon’s solar arrays are unfurling, everything looks good this morning. The Dragon spacecraft is flying on its own after the second stage completed its work to put the spacecraft on a path to the International Space Station. Solar array deployment coming up. Author Steven SiceloffPosted on July 18, 2016 Categories UncategorizedLeave a comment on Dragon Flying Free! The second stage engine has cutoff. Standing by for Dragon deploy. The first stage has landed successfully at Cape Canaveral Air Force Station within sight of the launch pad. 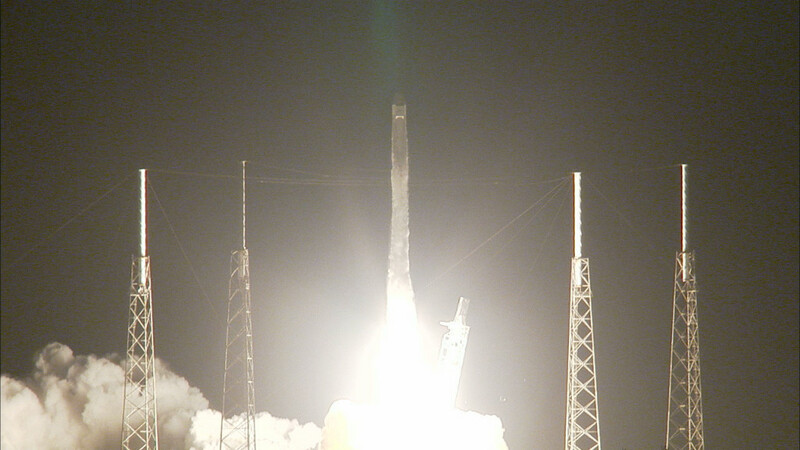 Tonight’s precise liftoff time was 12:45:29.318. Here’s how it looked to some of us.